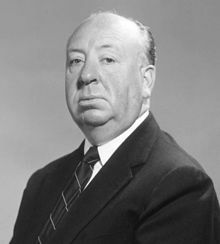 Sir Alfred Hitchcock was an English/American film director who pioneered significant developments in the movie industry of the mid 20th century. He is most famous for producing several classic films, especially of the thriller genre. Hitchcock is considered one of the greatest and most influential film producers of the Twentieth Century. Some of his most famous films include 39 Steps (1935), Rear Window (1954), Vertigo (1958), and Psycho (1960). Alfred Hitchcock was born 13 August 1899 in Leytonstone, Essex, England where he studied at the Roman Catholic Salesian College and later St Ignatius College. His childhood was not particularly happy. He suffered from obesity, a result of a glandular condition, and his parents were strict and somewhat remote. When he was just five, his father sent him to a police station with a note that he should be locked up for 5 minutes, which left him with a life-long fear of authority and the police in particular. During his childhood, the young Alfred would often spend time by himself, inventing games and drawing maps. When he was 15, he left college to study at the London County Council School of Engineering and Navigation; this qualified him to be a draftsman. He gained his first job with a telegraph company, but it was around this time he developed a burgeoning interest in the cinema, which was a recent innovation. In the evenings after work, he would watch films and study the cinema trade newspapers. Towards the end of the First World War, he attempted to join the army but was rejected because of his weight, although he did later manage to sign up for a brief time as a cadet in the Royal Engineers. After the war, he began writing short stories, which were published in his company’s in-house magazine. Hitchcock also developed an interest in photography and the new art of film production. He gained employment in 1920 as a title card designer for a company which would later be known as Paramount Pictures. With hard work, Hitchcock progressed through the company and within five years was producing silent films. In later years he said silent films were the ‘purest form of cinema’. In the mid-1920s, he travelled to Germany where he picked up many of the emerging expressionist techniques used in modern filmmaking. After a few challenging early films, he gained his first commercial and critical success with The Lodger: A Story of the London Fog (1927). 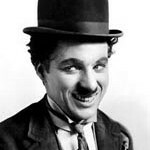 By 1929, he had produced ten films; his 10th film Blackmail was a significant moment for him because it was one of the first ‘talkers’ – films with an audio track. By the mid-1930s, Hitchcock was establishing his reputation as one of the leading film producers in Britain. Several films proved a great success, such as 39 Steps (1935), Sabotage (1936) and The Lady Vanishes (1938). Hitchcock proved a master at creating tension and a fast-moving plot line; he didn’t tie down the audience in detail but created scenes of dramatic tension. Hitchcock pioneered the use of famous backdrops, either famous landmarks in a city or the wilderness of the Scottish moors – 39 Steps (1935). Later in his career, he used many famous landmarks such as Mt Rushmore in North by Northwest (1959) and the Statue of Liberty in Saboteur (1942). Hitchcock’s critical success in England led him to be approached by David Selznick from Hollywood. In 1939, the Hitchcock family moved to California, where he began working on a new film. His first film Rebecca (1940) received an Academy Award for Best Picture. Hitchcock was not particularly enamoured of America, but he did enjoy the greater resources available to American studios – it was an improvement on the small budgets of the English film producers. Towards the end of the Second World War (1943), he returned to England, where he produced two films in French for the Free French forces. In 1945 he also served as film editor for a documentary about the concentration camps that were liberated by British troops (Bergen-Belsen). However, the images were so shocking; it was later shelved until being published in 1985 (Memory of the Camps); the film was also re-released in 2014. After the war, Hitchcock returned to America, where he resumed his long and successful American film career. In particular, he enjoyed developing his talents in creating psychologically intriguing films. 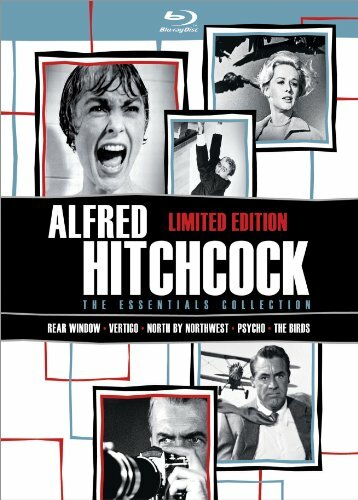 The 1950s was Hitchcock’s golden era, producing classic films such as Dial M for Murder (1954), Rear Window (1954), Vertigo (1958), North by Northwest (1959) and Psycho (1960). Psycho was Hitchcock’s best known and most profitable film. It broke box office records as viewers flocked to view this pioneering new horror genre film. Hitchcock, (like Walt Disney) was also early to embrace the new medium of TV. He hosted a TV series Alfred Hitchcock Presents from 1955 to 1965; his prominent role in hosting the show helped him become one of the most recognisable film directors and media celebrities of the day. During the next two decades, his output was less prolific as old age and failing health limited his work rate, but he continued to produce feature films up until his death. Hitchcock died of renal failure on 29 April 1980, while at his home in Bel Air, Los Angeles. He had just recently received a knighthood from the Queen. Hitchcock also enjoyed a gallows humour which is not always obvious to spot. Finally, Hitchcock developed a tradition of making short cameos in his films. Hitchcock had a reputation for being unsympathetic to actors and a hard taskmaster. He was rumoured to have said that actors were ‘like cattle’, and this remark hung around Hitchcock (though he later said he had been misquoted). However, many actors gave memorable performances in his films and won Academy Awards for their performances. Hitchcock was nominated five times for an Academy Award for Best Director, but he never won. In 1956, he became a U.S. citizen, although he remained a British subject. Citation: Pettinger, Tejvan. “Biography of Alfred Hitchcock”, Oxford, UK. www.biographyonline.net, Published 10 January 2014. Last updated 20 February 2018. Famous Film Directors – Influential film directors, including Alfred Hitchcock, Charlie Chaplin, Frank Capra, Walt Disney and Orson Wells.